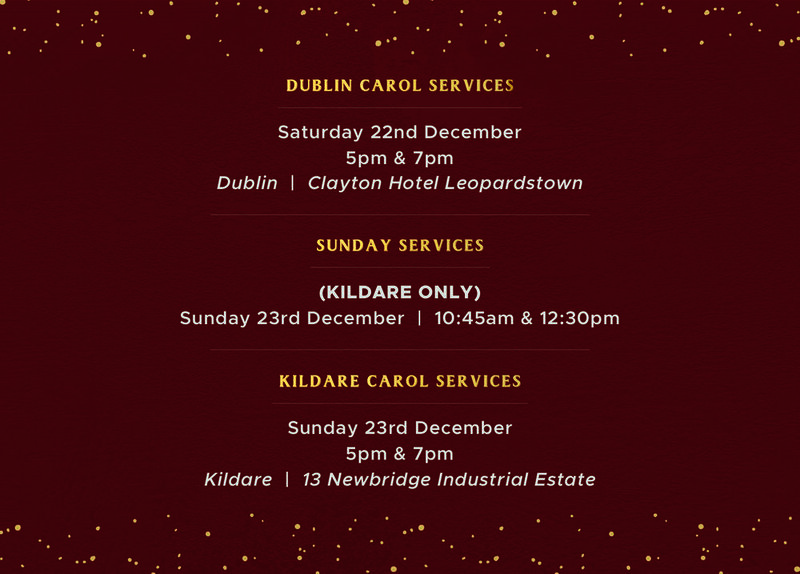 Get yourself in the mood for Christmas by singing along to your favourite carols at Kildare & Dublin Carols this year. Bring your whole family along & enjoy some Christmas treats afterwards. This will be a night of creativity, singing along to some of your favourite carols, and we also have a kids program for your kids in our Dublin location! Everyone is welcome - make wonderful memories that last this Christmas!